We offer you to sign up as an affiliate and earn money. 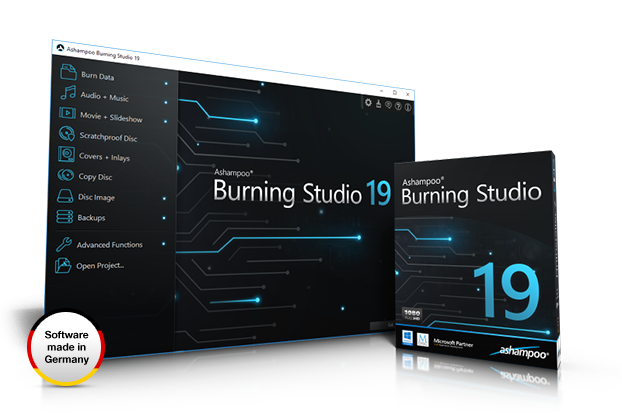 Burning Studio 19 is a powerful application to burn data, movies, music and files to all common disc types. What makes the program special is the comprehensive multimedia support. 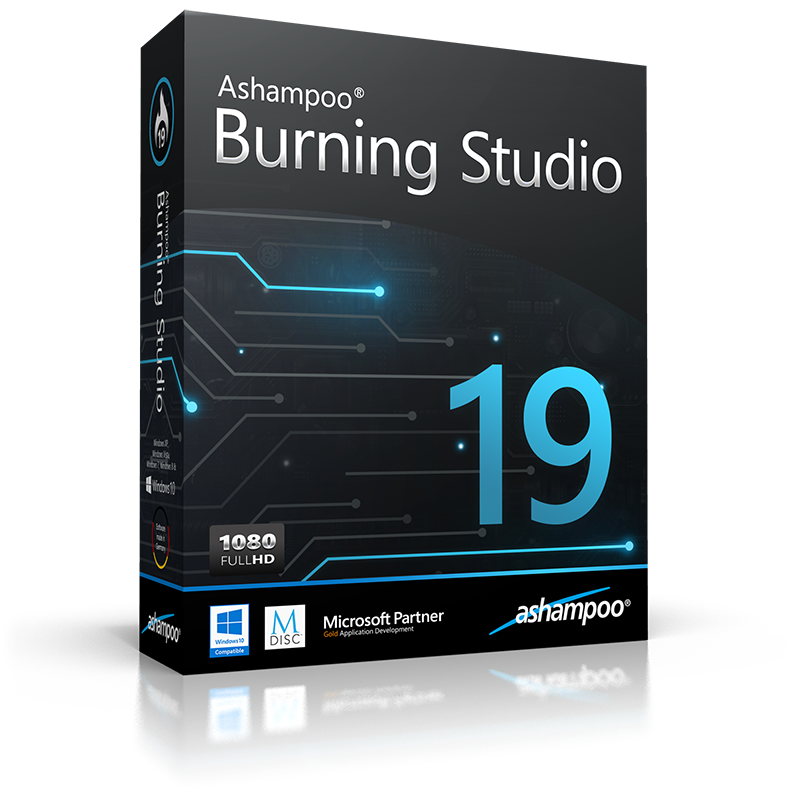 The new Ashampoo Burning Studio 19 is a proven suite of tools for all burning-related tasks. Burn music, movies and data in almost any format and quickly copy or rip audio CDs. A comprehensive multimedia section gives users everything they need to create slideshows, auto-play discs or complex movie projects with custom menus, individually cut opening and end credits. With support for a multitude of formats such as MPEG-4, H.264 and AAC, results will be playable on any regular player. A dedicated backup section helps users with backing up individual files or entire devices like cellphones and tablets. Another program module focuses on creating playable flash drives or discs for your car radio with maximum compatibility in terms of format and playback sequence. As a first, Burning Studio now comes with scratch protection to create discs that remain readable even after their surfaces have been partially damaged. The new history feature provides access to the 20 most recent burning projects and project settings for further processing or quick disc burning. With the new simple mode, basic video editing becomes a matter of seconds. Also, numerous new menu designs, themes and templates have been added for use in multimedia projects. DirectX 9 Hardware Pixelshader v2.0, min. 128 MB RAM. An Internet connection is required to activate the program. The program license is verified repeatedly at regular intervals. For some services an Internet connection is required Internet connection may be required to verify the serial number during usage of certain features.